The Minnesota State Patrol released dash cam video of a high-speed chase that resulted in a fiery crash in the Twin Cities in May of last year. 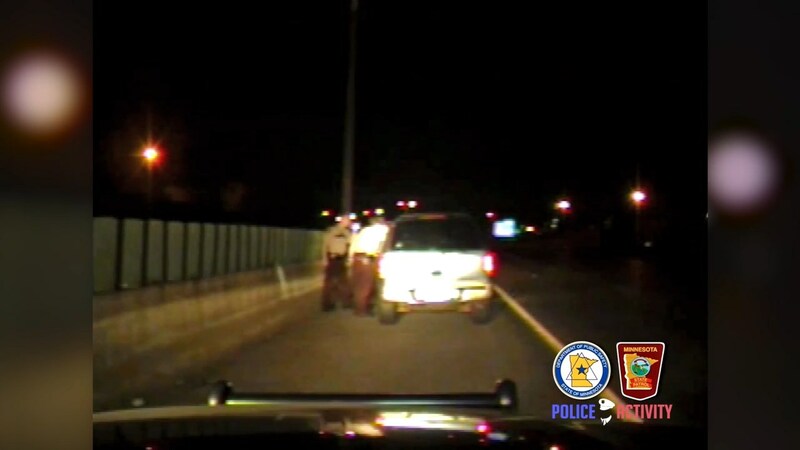 It begins with an SUV pulled over for a traffic violation along I-94, and quickly escalates as the motorist speeds away while the State Troopers are standing next to the driver and passenger side windows of the vehicle. That resulted in a high-speed pursuit that ended when the driver of the SUV lost control on a freeway exit ramp, causing the vehicle to roll several times down an embankment and catch on fire. The video clearly shows the troopers rushing to aid the motorist, and after making sure he was not armed, pulling him from his vehicle as the flames moved closer to the passenger compartment. Quick-thinking, cool-headed, and brave come to mind when searching for words to describe the actions of the troopers.